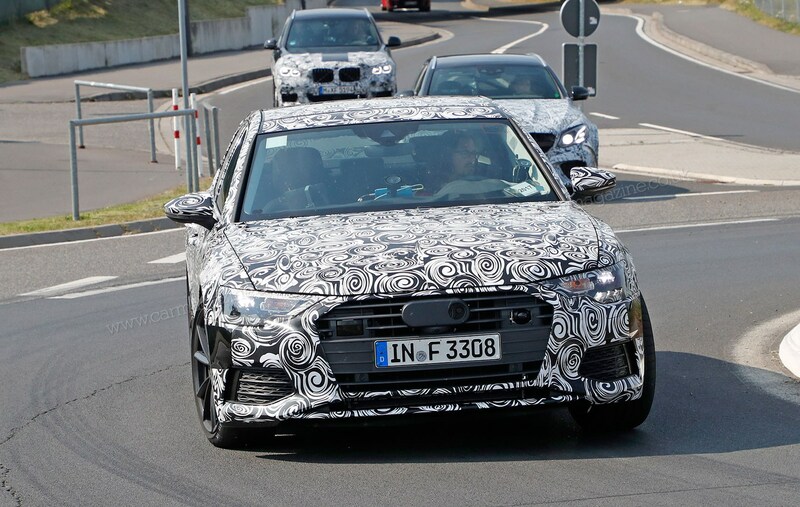 Check out how many cameras and radar sensors adorn the new 2018 Audi A6 front end! 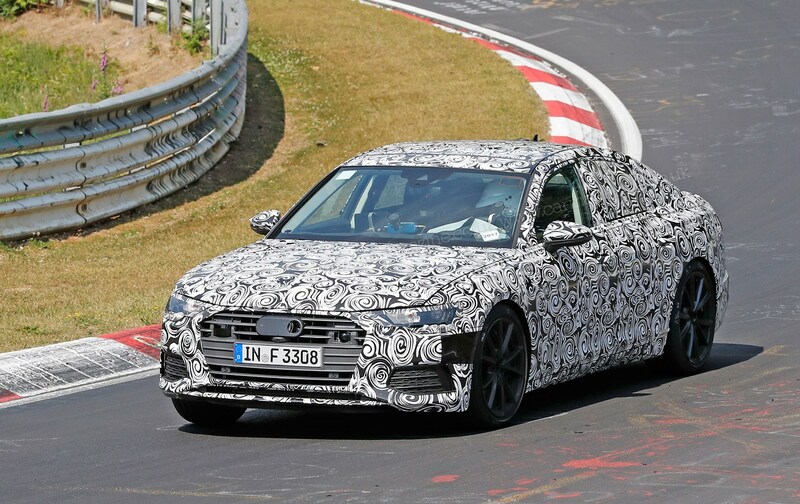 The new Audi A6 range will quickly spawn a new S6 range-topper - and these new spy pictures capture the high-performance saloon on test at the Nurburgring in Germany. They reveal a lower suspension set-up, large alloy wheels, the trad quad exhaust pipes and bigger brakes to cope with the uprated performance on offer from the punchy 2.9-litre V6 engine. The same unit in the Porsche Panamera S pushes out some 440bhp, so expect some firecracker acceleration figures for the maxed-out Audi A6. 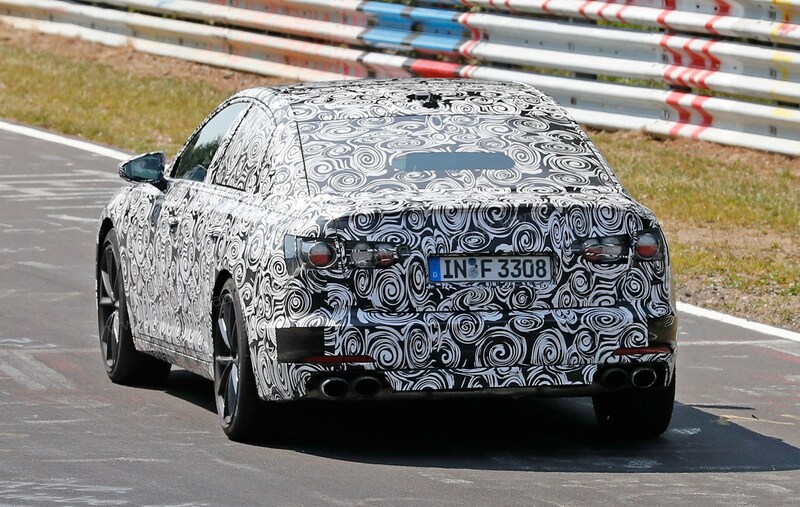 A modest bodykit is visible in these new scoop photos, captured as engineers hone late prototypes ahead of launch. 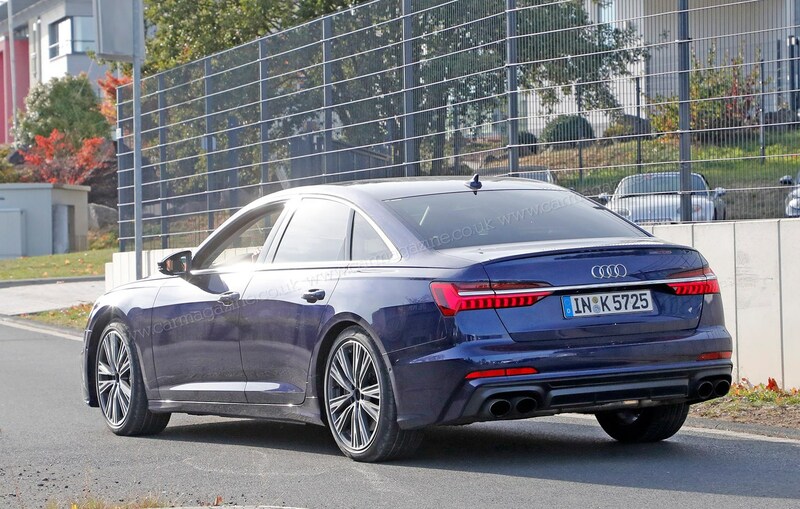 The new S6 retains its place at the top of the A6 range - at least until the full-fat RS6 arrives, that is. 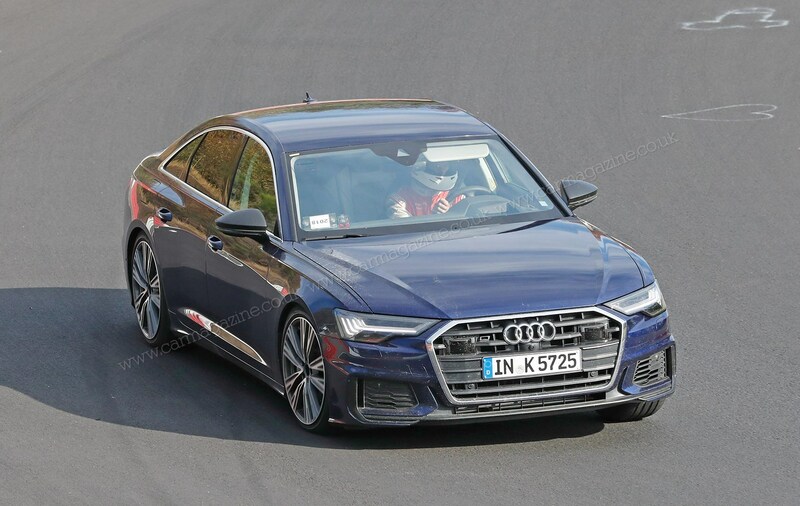 The brand's customary Quattro drivetrain is deployed to keep upwards of 420bhp on the road and the front of this S6 test car is peppered with cooling ducts to channel air to the V6 and brakes. 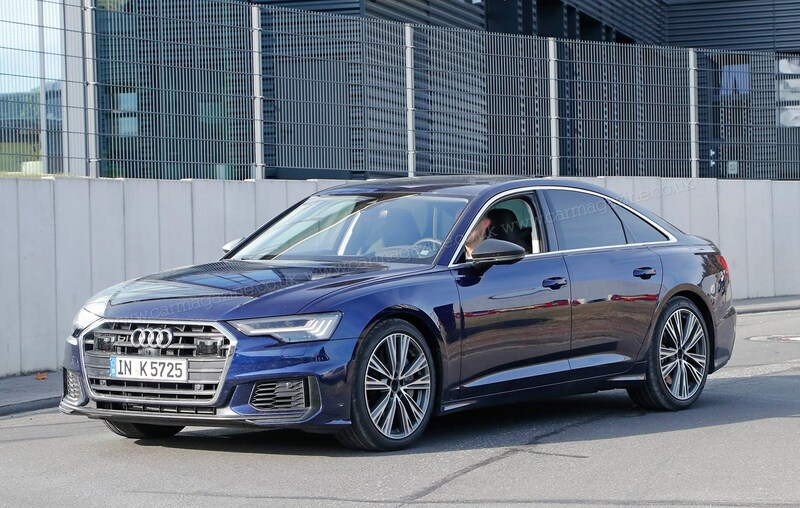 When can I buy the new Audi S6? We hear the newcomer will land later in early 2019, ahead of a showroom launch pencilled in for next spring. 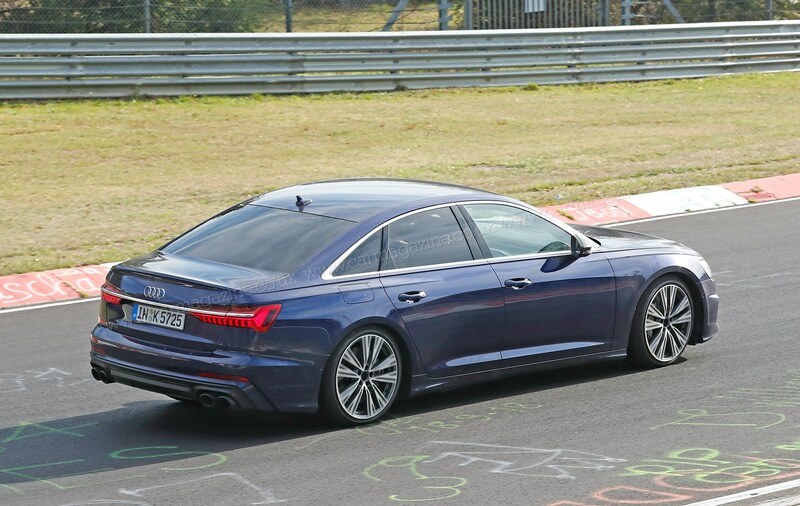 The outgoing Audi S6 cost just under £60,000 and we hear a similar price point is anticipated for the newcomer.